Audi’s most powerful convertible ever! The second-generation Audi R8 came to life in 2015, when the German firm unveiled an evolutionary design with sharper styling cues and a more aggressive approach. 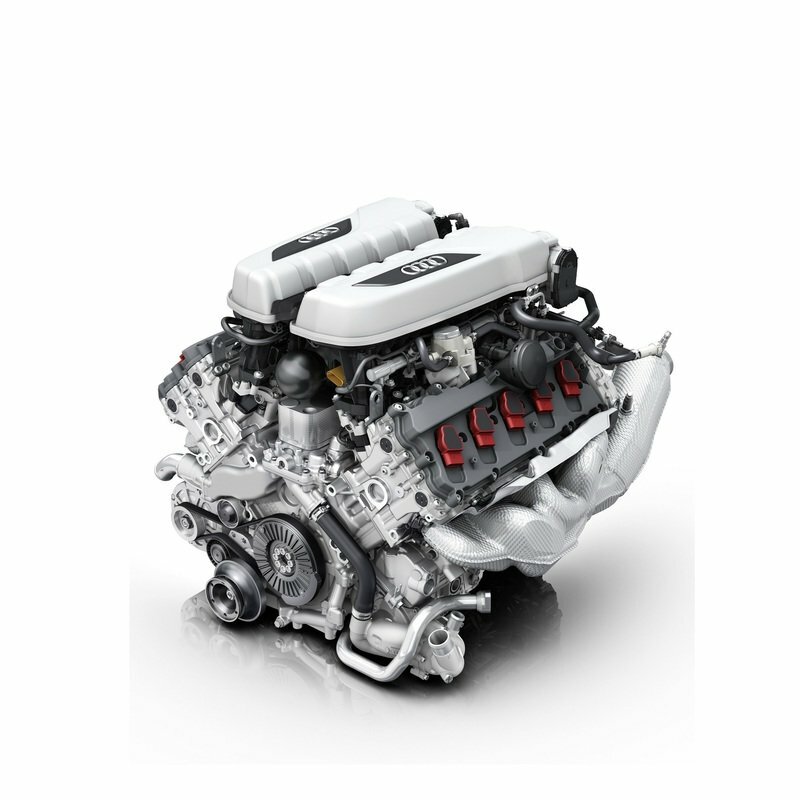 Audi also revamped the engine lineup, adopting an upgraded 5.2-liter V-10 and dropping the base V-8. 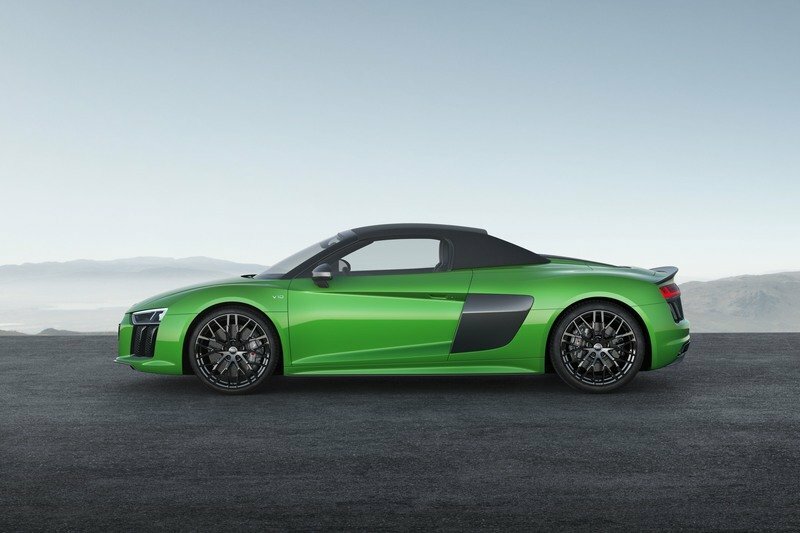 Instead, it introduced an all-electric version of the R8, which was discontinued only a year on the market. 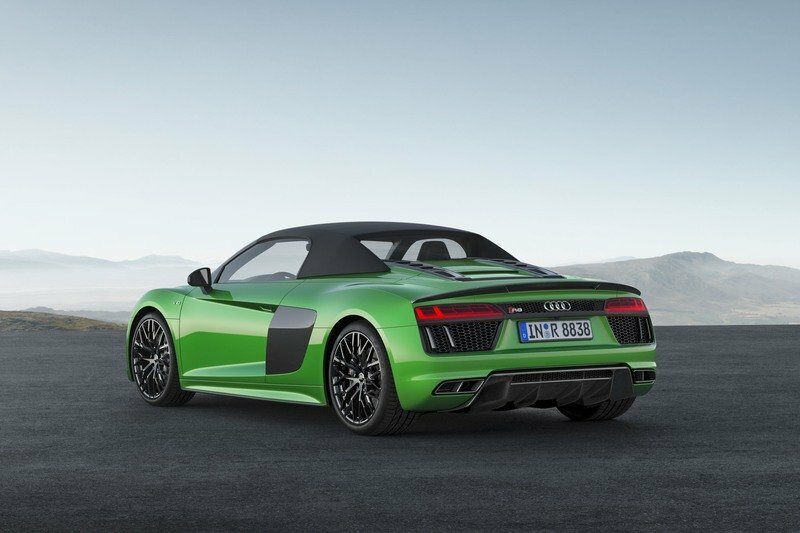 Just like its predecessor, the second-gen R8 also gained Plus and Spyder variants. 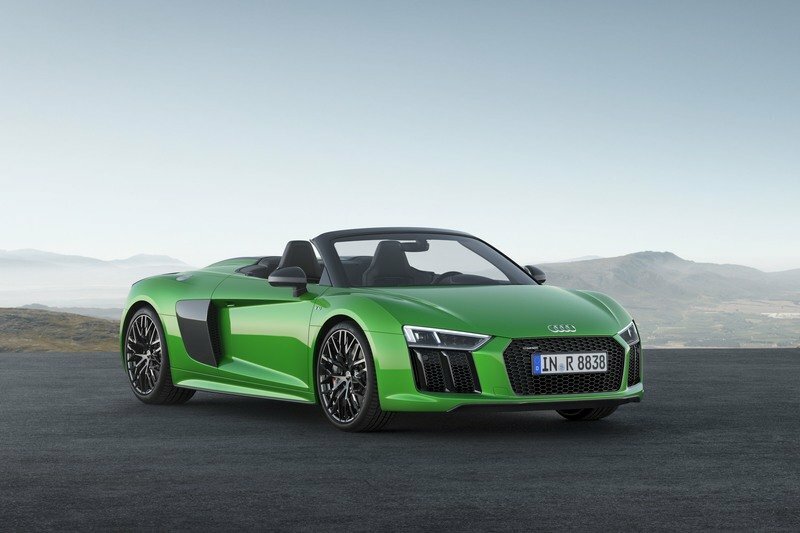 But for the first time in history, Audi brought the two badges under the same umbrella, creating the R8 Spyder Plus. Essentially a convertible version of the more extreme R8 Plus, the Spyder Plus finally gives drop-top enthusiasts the option of driving a beefed-up version of the V-10 engine with infinite headroom. Not only a first for the nameplate, the Spyder Plus also gives the company a suitable competitor for the Porsche 911 Turbo S Cabriolet, as well as the new-for-2018 McLaren 570S Spider. How does it stack up against the opposition? Find out in my review below. Updated 06/19/2017: Audi dropped a first promo video for the new R8 Spyder V10 Plus. Continue reading to watch it! Production of the R8 as we know it began in 2006, after Audi invested no fewer than $31 million in its factory at Neckarsulm. The Audi R8 started life as the Audi Le Mans Quattro concept back in 2003. Unveiled at the Frankfurt Motor Show, the concept had a twin-turbo V-10 engine under the hood and was rated at a then-astounding 600+ horsepower. Production of the R8 as we know it began in 2006, after Audi invested no fewer than $31 million in its factory at Neckarsulm. Initially launched with a 4.2-liter V-8 under the hood, the R8 gained a 5.2-liter V-10 based on the unit in the Lamborghini Gallardo in 2009. 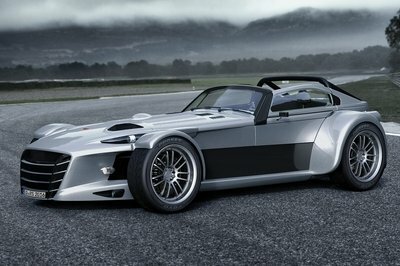 Spyder versions of each model followed in 2010, and Audi even created a V-12 turbodiesel concept car in 2008. 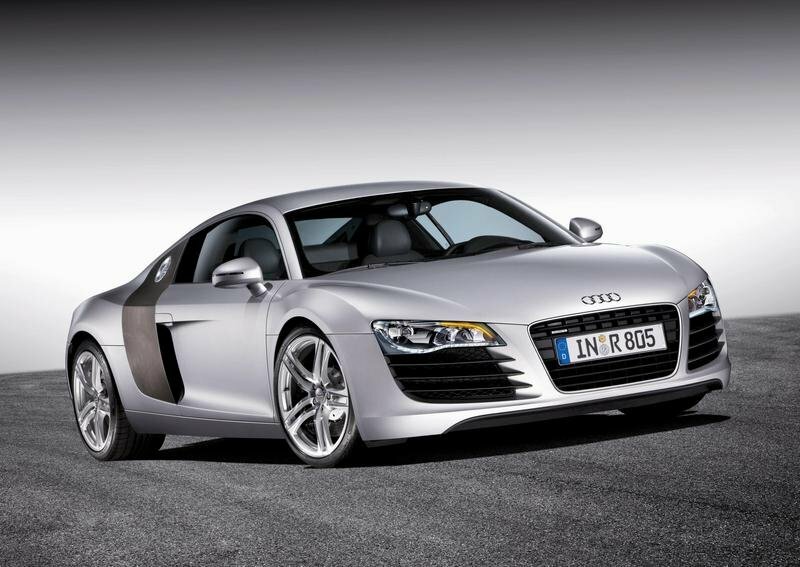 The R8 was redesigned in 2015, when the V-8 engine was dropped from the lineup. In 2009, Audi introduced the race-spec R8 LMS version, which went on to win several races around the world, becoming one of the most popular customer cars of the last decade. 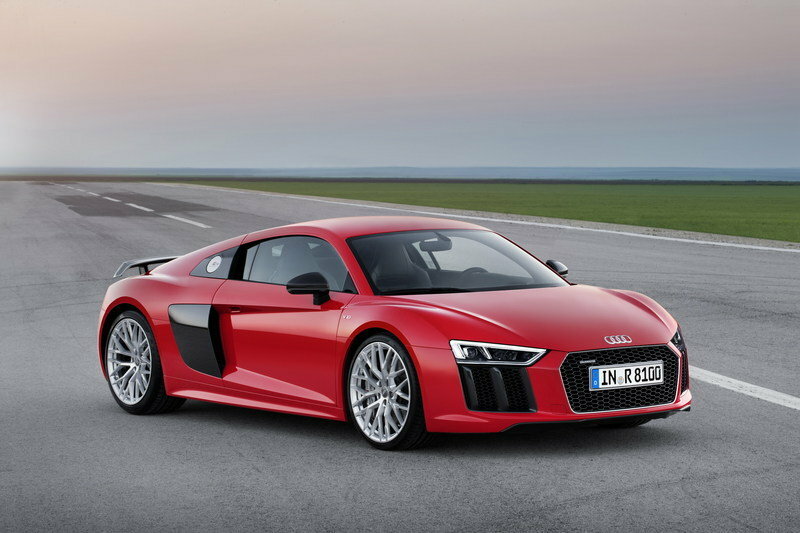 The R8 was redesigned in 2015, when the V-8 engine was dropped from the lineup. After years of rumors and test vehicles, Audi finally introduced the all-electric e-tron, but this version was discontinued after only a year on the market. As a result, the second-gen R8 is available with a V-10 engine only. Rumors speak of an entry-level V-6 version, but it has yet to be confirmed as of 2017. We already know everything there is to know about the R8 Spyder, so the big question here is whether the Plus makes a difference when it comes to exterior features? And the answer is: not really! Sure, there are a couple of features that set the Plus apart, but you have to look very close. And both of them are around back, where the Plus carries an additional black spoiler and the standard exhaust pipes are split in two for a quad layout. Other than that, it’s basically identical to the non-Plus model. But this isn’t an issue, as the second-gen R8 is as menacing as they get. However, you can opt for a new package for the Plus model. It’s called the Micrommata Green design package and adds a rich green exterior paint and contrasting Anthracite Gray "singleframe" grille and black tailpipe covers. Other than that, you get the same evolutionary design with sharper features, a larger front grille, race-like diffuser, and vertical side intakes. The Spyder in the name also means that it comes with a lightweight fabric top instead of the metal roof. 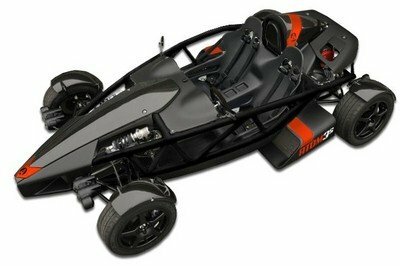 It uses an aluminum and magnesium frame and it’s operated by an electro-hydraulic drive that opens and closes the hood in 20 seconds. The action can be done both ways at speeds of up to 31 mph. The rear window can be retracted and extended depending on how much air you want inside the cabin. Speaking of which, the Spyder comes with an entirely different engine hood, as the large glass piece that showcases the V-10 mill was replaced by a vented hood. Personally, I like the vented hood better, as it gives the car a race-inspired look. 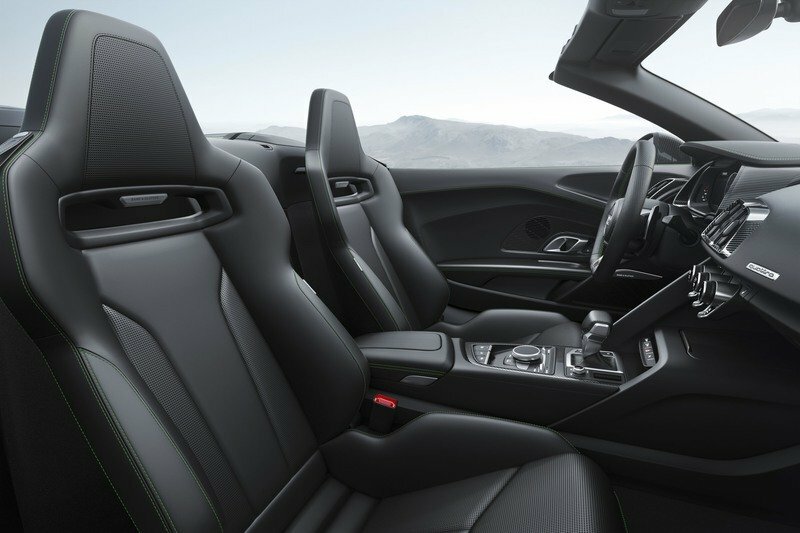 Much like the exterior, the interior is identical to the standard Audi R8. The only features that can set it apart are the extra Audi Exclusive options or the new Micrommata Green design package. Much like the exterior, the interior is identical to the standard Audi R8. The only features that can set it apart are the extra Audi Exclusive options or the new Micrommata Green design package. The latter dresses the interior in completely black, fine Nappa leather with perforated inserts, Green contrast stitching accents on the seats, center armrests, doors, and floor mats with luminous color that matches the exterior paint. Needless to say, I would have liked to see more extra features and a few special options on top of that, but I must admit that the R8 is already a well-equipped sports car with everything an enthusiast needs. The second-gen drop-top comes with a redesigned, flat-bottom steering wheel with three spokes and plenty of controls, revised sports seats with enhanced lateral support, and a 12.3-inch screen that replaces both the old instrument gauges and the MMI display previously fitted in the center stack. There’s also a redesigned dashboard with new A/C vents and a new center console. Trim options include an Alcantara and Nappa leather combo or the optional full Nappa leather for the seats, as well as clear-coated carbon-fiber for the center console, dashboard, and door panels. Quite an impressive package when you also add the infinite headroom that comes with all cabriolets. 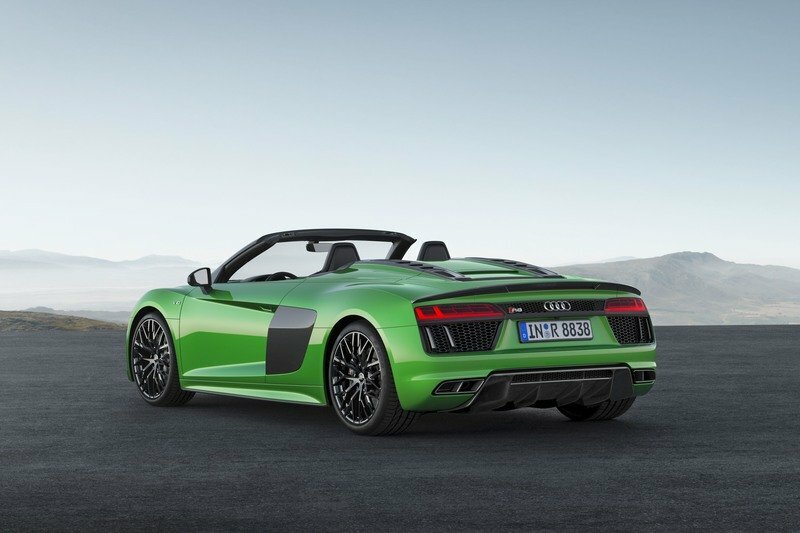 The R8 Spyder Plus comes with 610 horses and 413 pound-feet of twist on tap. Here’s where the Plus is significantly different compared to the standard R8 V10. While it uses the same Lamborghini-sourced, 5.2-liter V-10 as the base model, the Plus version benefits from a number of upgrades that enhance output. Whereas the regular model cranks out 540 horsepower and 398 pound-feet of torque; the Plus comes with 610 horses and 413 pound-feet of twist on tap. 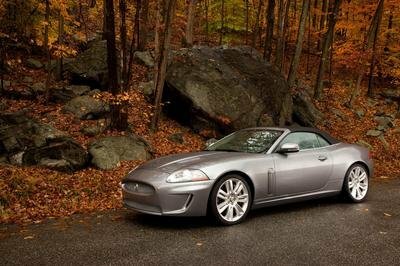 That’s an extra 70 horsepower and 15 pound-feet, which is nothing to sneeze at and makes a big difference in the performance department. It also marks the debut of the "Plus" badge on the R8 Spyder and makes it the most powerful convertible Audi has built to date. The sprint to 62 mph comes in 3.3 seconds, three-tenths quicker than the non-Plus model, while top speed is now rated at 204 mph. The naturally aspirated mill mates to an S Tronic dual-clutch transmission (no manual unfortunately) and Audi’s already iconic Quattro AWD system. 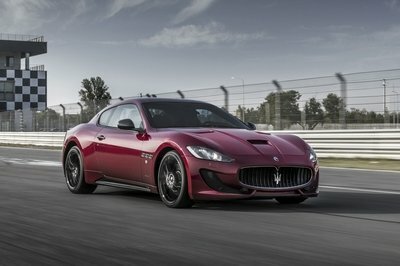 The sprint to 62 mph comes in 3.3 seconds, three tenths quicker than the non-Plus model, while top speed is now rated at 204 mph, six mph higher. It’s also nearly as quick as the Plus coupe, being just a tenth second slower to 62 mph and just one mph slower in terms of top speed. 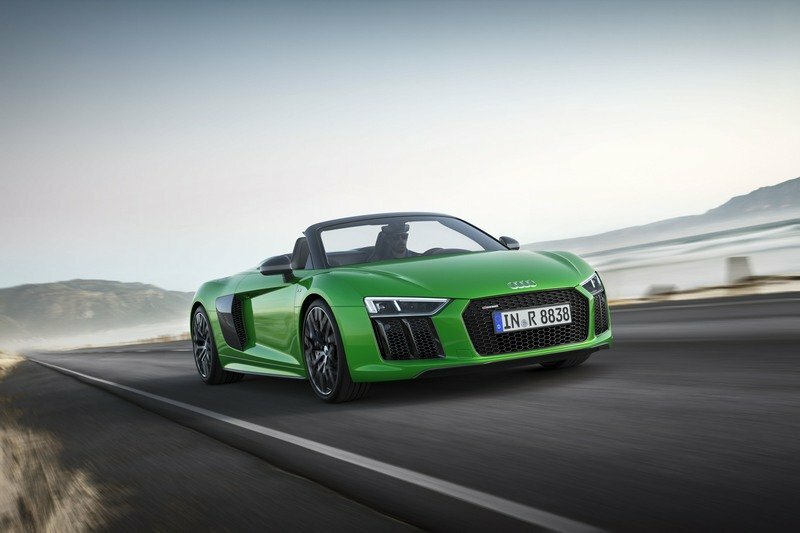 Mileage isn’t bad either, as the V10 Plus Spyder is rated at 19 mpg combined. 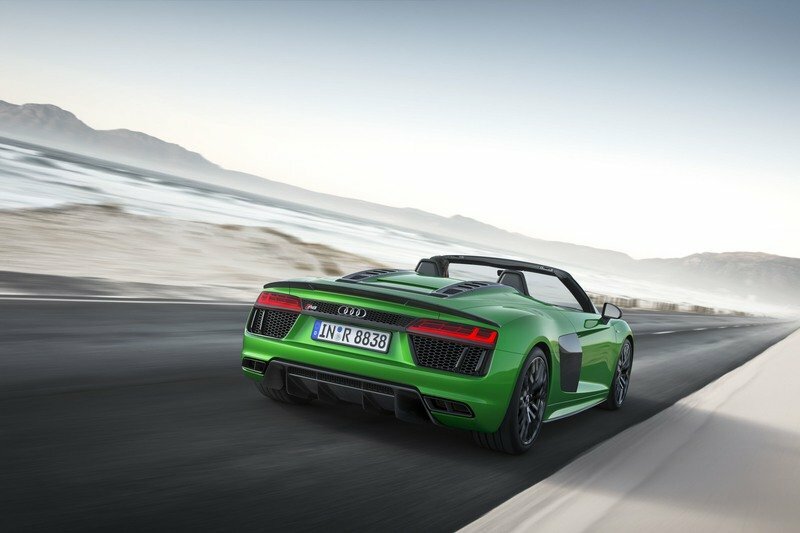 U.S. pricing for the R8 Spyder Plus is not available as of June 2017, but Audi did say that the sports car will start from €207,500 in Germany. That’s a 16-percent premium over the standard R8 Spyder, which means that the Plus should start from around $203,000 in the U.S. For reference, the R8 Spyder costs $175,100 on this side of the pond. Although it sports its engine behind the seats and not in the rear, the R8 is obviously aimed at the 911 Turbo, arguably the oldest and most popular vehicle in this niche. Wearing a design that still harks back to the mid-1960s, the 911 Turbo has evolved into a tremendous machine that has no issues giving full-fledged supercars a run for their money. While the twin-turbo, 3.6-liter flat-six isn’t as powerful as Audi’s V-10 at 540 horsepower, it’s definitely quicker, needing only three seconds to hit 62 mph. And that’s just the base Turbo model. Upgrade to the Turbo S and the benchmark drops to an impressive 2.9 seconds, almost a tenth-second quicker than the R8 Plus. You also get a ton of premium features and modern tech, while pricing is nothing to be scared of at $174,100 for the Turbo Cabriolet and $203,000 for the Turbo S Cabriolet. 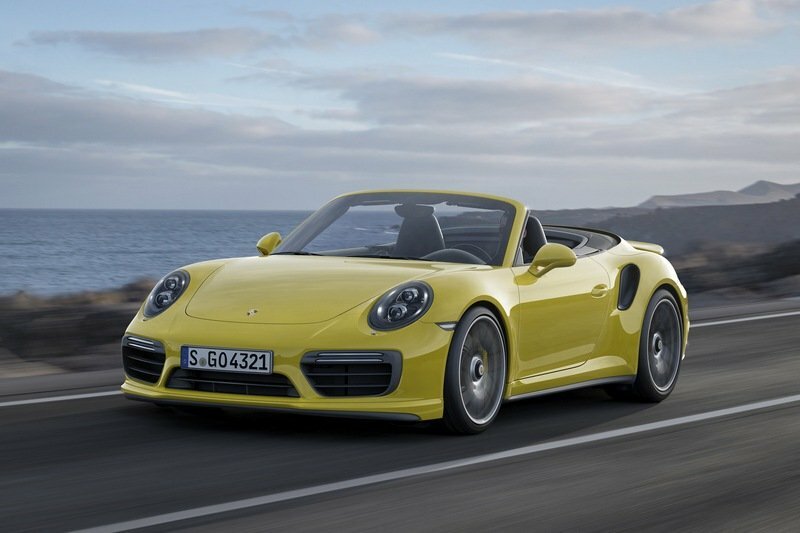 Find out more about the Porsche 911 Turbo Cabriolet here. 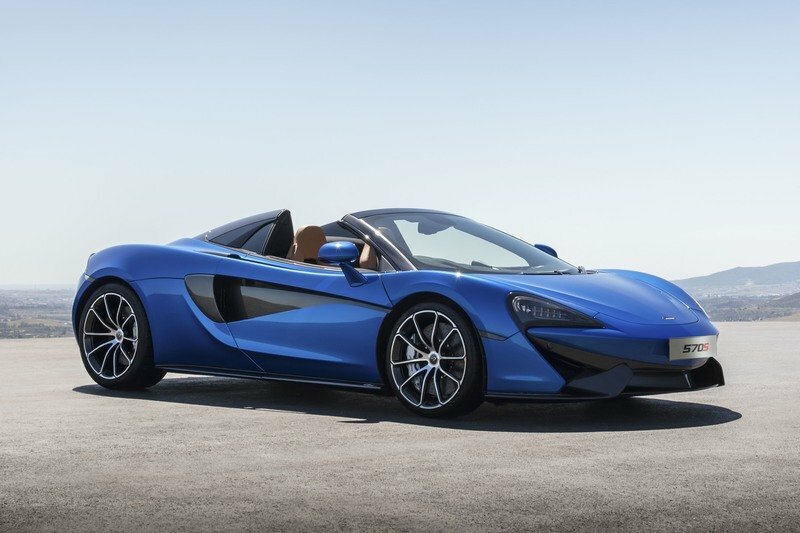 The 570S Spider is the newest vehicle in this comparison and McLaren’s first venture in this niche. A mid-engined design combining styling cues from the P1 and 650S, the 570S is a pretty exotic proposition and has everything it takes to give the R8 Plus and 911 Turbo a run for their money luxury-wise, despite having a more race-inspired interior. On the performance front, the 570S comes with a twin-turbo, 3.8-liter V-8 that cranks out 562 horsepower 443 pound-feet of torque, making it the least powerful of the bunch. 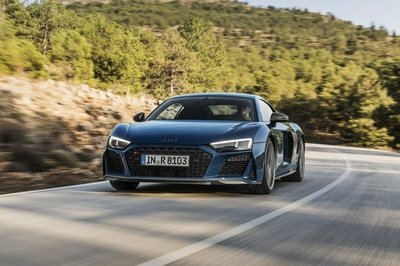 However, it’s fantastic power-to-weight ratio and race-bred seven-speed dual-clutch make it quicker than the R8, with a 0-to-62 mph sprint of only 3.2 seconds. Its top speed is also impressive at 204 mph, but this figure can be reached only with the top up. In convertible mode, it drops to 196 mph. However, I must stress that unlike the R8 Plus and 911 Turbo, the 570S is rear-wheel-drive. Pricing starts from $208,800. 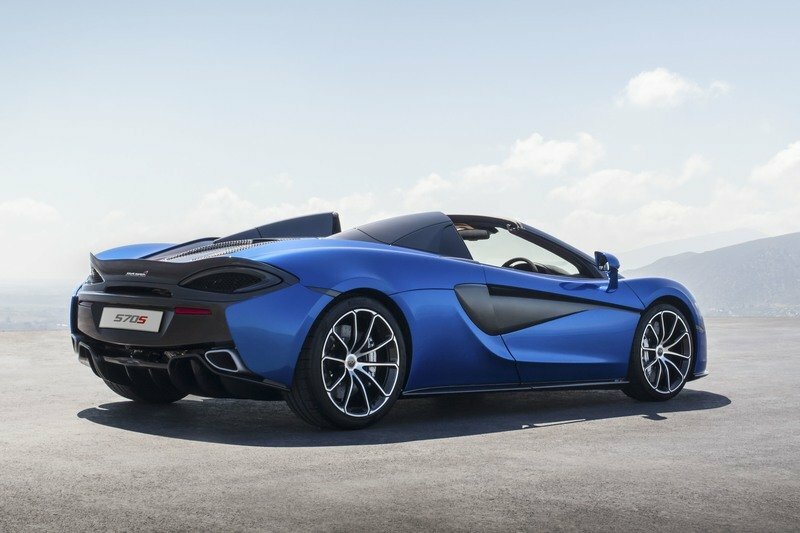 Learn more about the McLaren 570S Spider here. Needless to say, the R8 Spyder Plus is the kind of car that you know in detail long before it hits dealerships. The R8 Plus has been around for quite some time, while the R8 Spyder is already one year old. 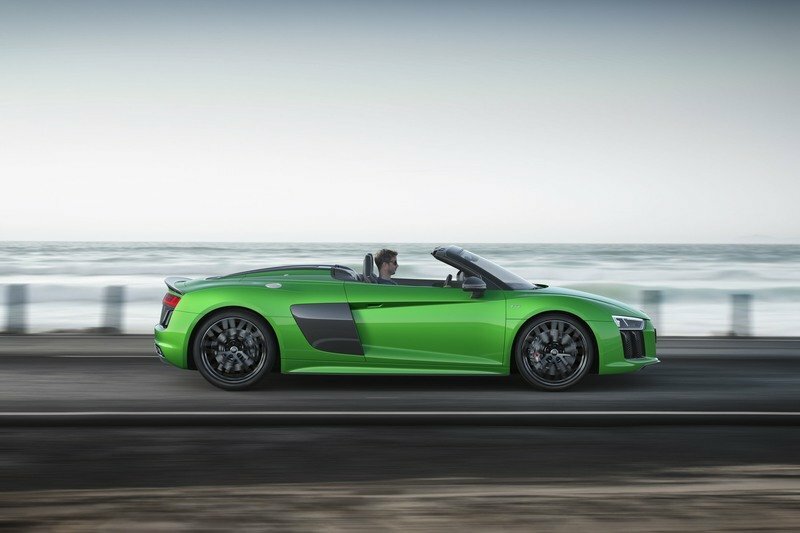 However, I must give Audi credit for rolling out a Plus version of the R8 Spyder, which was very unlikely a few years ago. 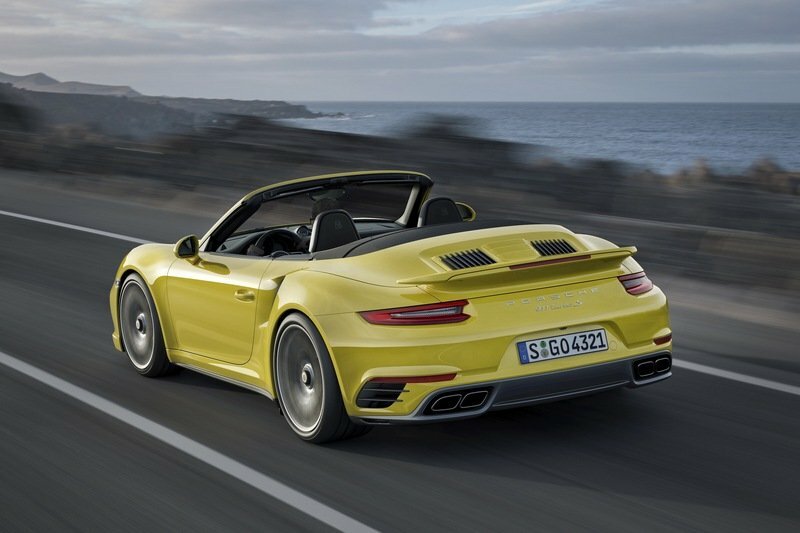 This is definitely a good decision, as the German firm finally has a proper competitor for the insane Porsche 911 Turbo S Cabriolet. Okay, okay, maybe it’s not as quick, but it’s on par in just about any other department.